Shrimp rice salad is one of my preferred recipes for summertime. 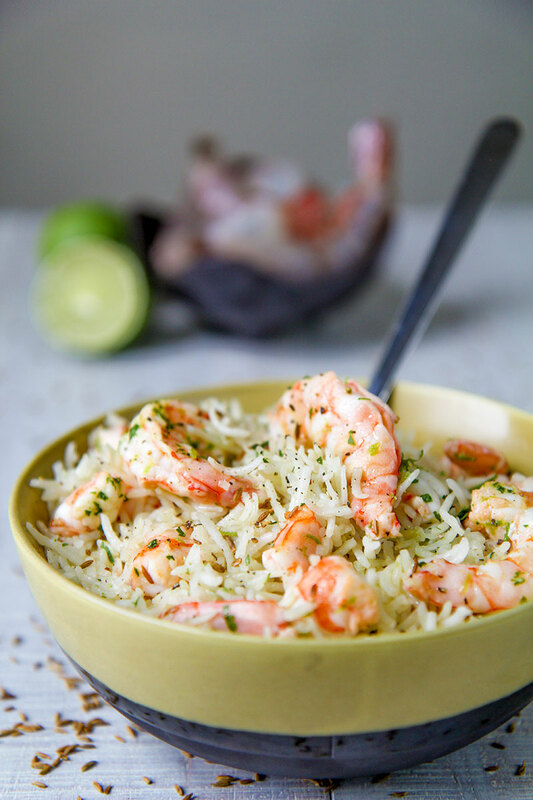 Rice pilaf tossed with steamed shrimp, fresh coriander and spices is a thing that remembers me seaside and vacation. This is the perfect recipe to prepare in advance for a picnic on the beach! Even if it is possible serve this shrimp rice salad hot, I prefer taste it at room temperature or cold. Basmati is the rice I prefer for this recipe, but Arborio, Jasmine, brown or wild will work great as well, just remember to adjust time and cook technique depending the kind of rice. 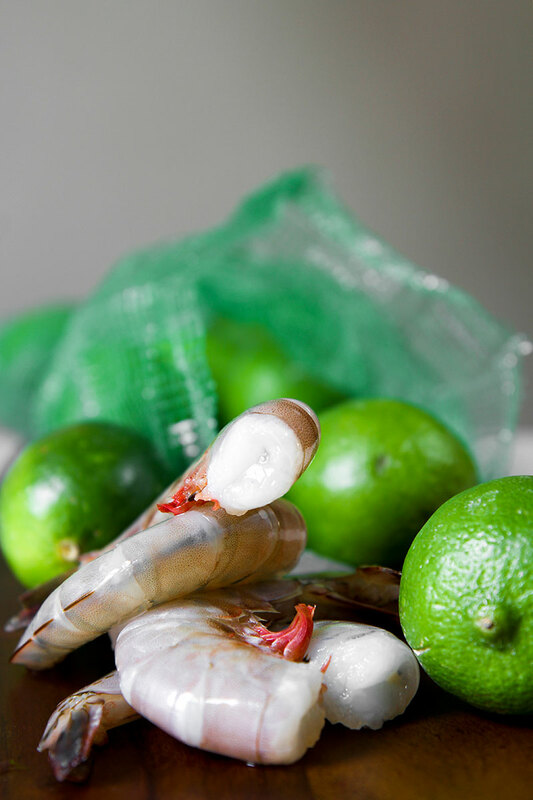 Rinse and peel shrimp. 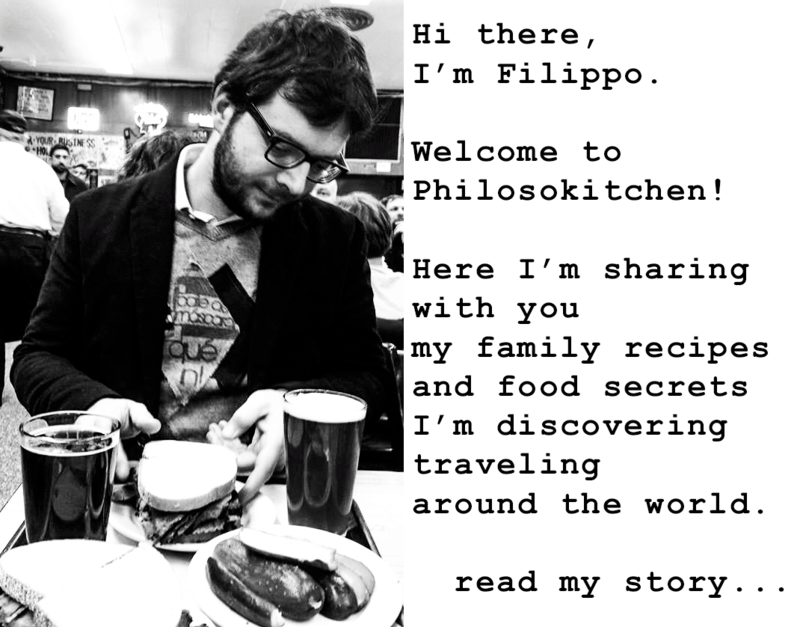 If opt for shrimp broth (good choice!) click here and follow the steps to prepare it. Grate the green part of the limes skin and mix along with the olive oil and minced cilantro, then place the mixture into the fridge. 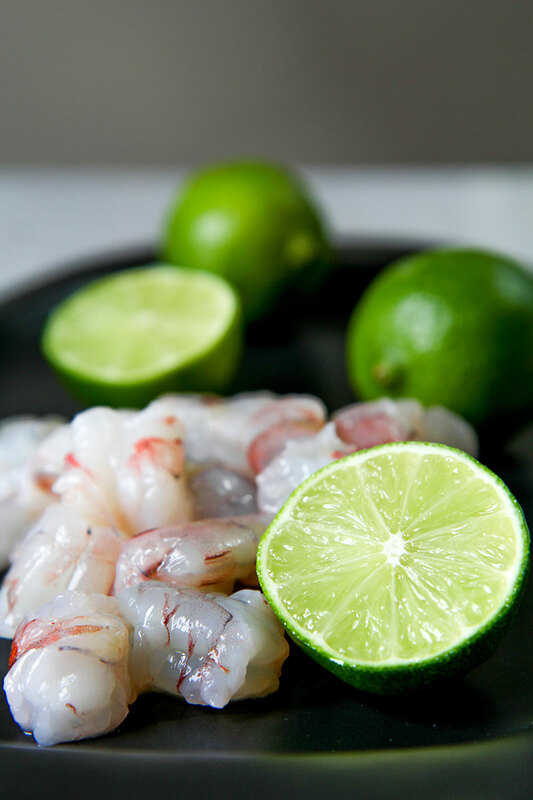 Pour the peeled shrimp in a bowl along with the juice of the limes , 1 pinch of salt and 1 pinch of black pepper. 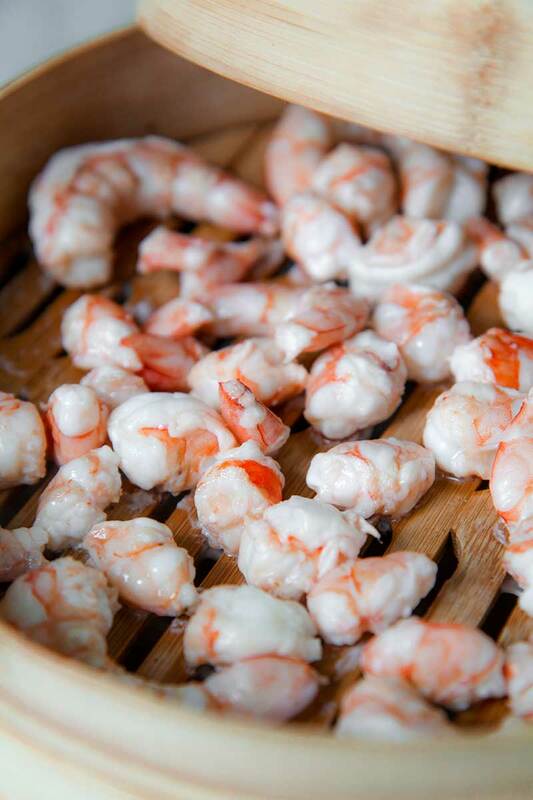 Cover the bowl with plastic wrap and marinate shrimp into the fridge at least 2 hour up to 1 night. Pour the rice in a sieve. Rinse the rice under running water in order to eliminate all the starch. When the water passing through the rice is clear, the rice will be ready to cook. Pour rice in a small pot, along with vegetable or shrimp stock, 1 dash of salt and 1 tbsp of whole cumin seeds. Cover the pot with an hermetic lid and cook over medium heat until the rice has absorbed all the water (about 9 mins). The rice has to be well cooked but not mushy. Meanwhile the rice is cooking, raise the shrimp from marinate. Reduce half of shrimp into pieces long 1/2 inch, keep whole rest of shrimp. Steam the shrimp a couple of mins: they have to be cooked, but still crunchy. 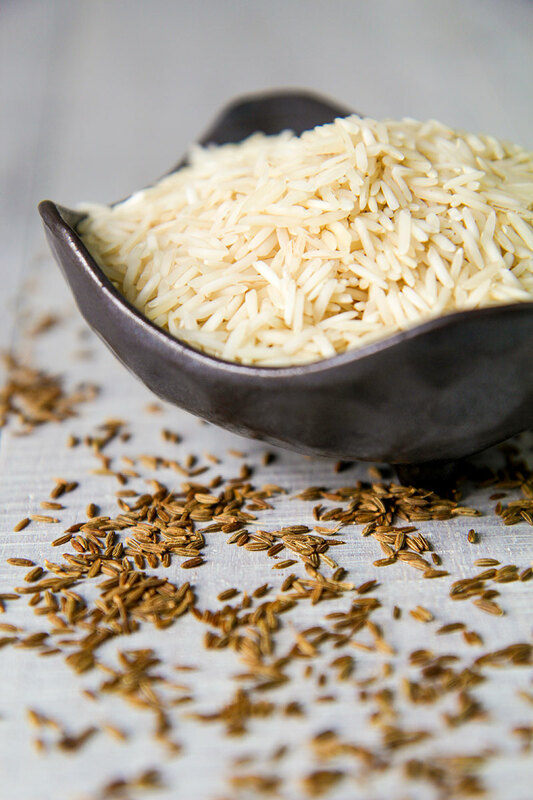 Once the rice is cooked, let it reach room temperature as quick as possible. 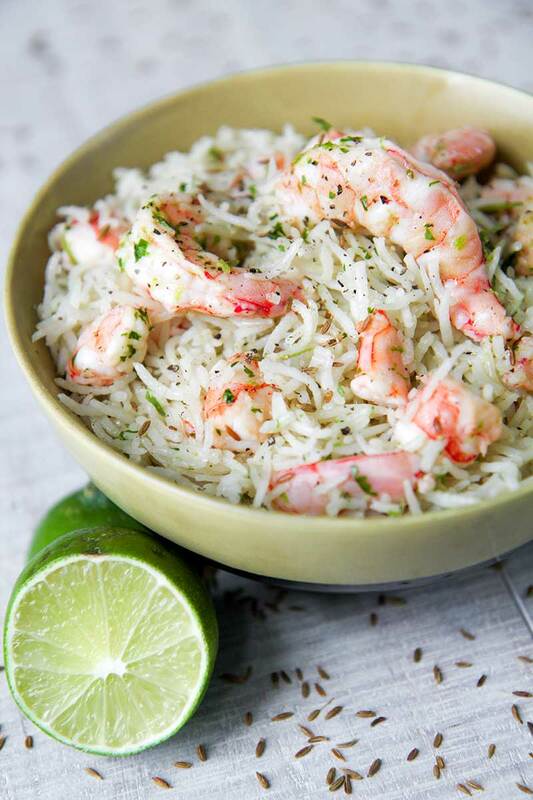 Stir the rice and toss with the olive oil, coriander and lime skin mixture. Add the shrimp as well. Stir shrimp rice salad, garnish with black pepper and serve. Meanwhile the rice is cooking, raise the shrimp from marinate. 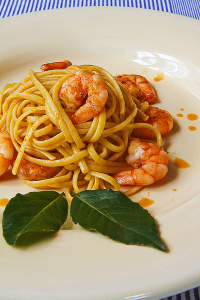 Reduce half of shrimp into pieces long ½ inch, keep whole rest of shrimp. Steam the shrimp a couple of mins: they have to be cooked, but still crunchy.